*Disclosure: This post was created in partnership with eAccountable. All opinions are my own. I’m usually not much into Hollywood beauty secrets and what the celebrities are using (okay, maybe just a teensy bit when it comes to my favorites like Keri Russell and Emma Stone) but this one I’m backing up. 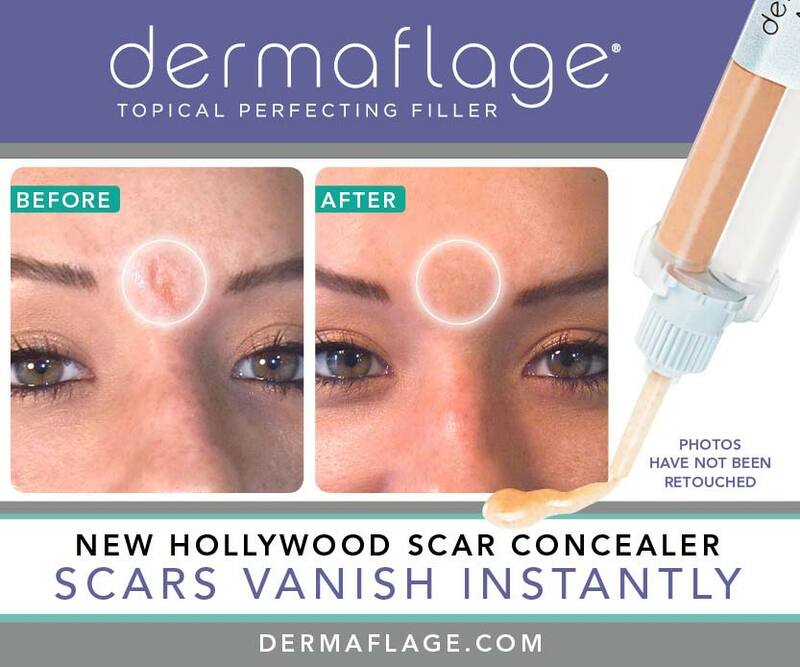 I’m talking about Dermaflage, a product that instantly conceals scars and wrinkles, and it lasts 36 hours to boot. 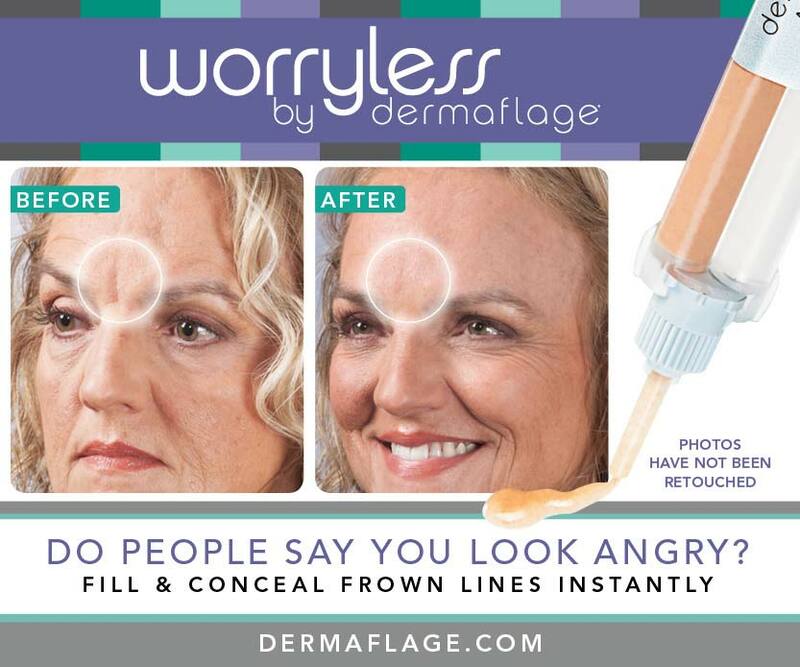 I recently put Dermaflage to the test, and while I don’t have my own before and after photos to share, I can 100% tell you it works. I tried getting good photos, because I wanted you to see MY results, but the photos didn’t do the product justice. Me, my iPhone and the bathroom mirror weren’t good enough. I don’t have any scars on my face, so I decided to try it on my crows feet. What crows feet? At least that’s what I was able to say after I applied Dermaflage. It did take me a few tries to really get the hang of it. I’ve never used a silicone product before. It dries quickly, you have to rub it in (like they say in the instructions) and not dab and you definitely can not, under any circumstance, apply foundation or powder over it when you are finished. I recommend watching their how-to apply video first, follow their instructions exactly and once you get the hang of it, you’ll be blown away by the results. I can definitely see myself using Dermaflage for special occasions, a photoshoot or a special event where I want to look my best. Just in time for Valentine’s Day, Dermaflage is offering a special coupon code for 15% off. Use code vday15 for your 15% off. The code expires 2/15/15. Are you ready to give it a try? They do offer a money back guarantee. Just be sure to read the FAQs! Alright, let’s do this. 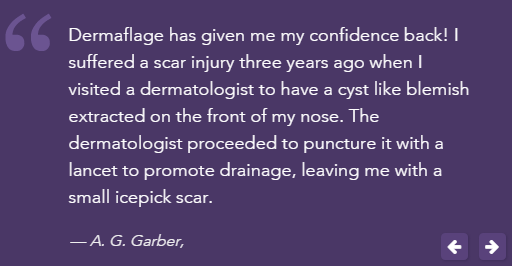 Click HERE to order and start concealing those scars, frown lines and wrinkles.